Shocked parishioners of Brighton's Catholic churches walked out distraught yesterday as they heard of God's detestation for divan beds. The divan bed, well known for its comfort as well as useful under-bed storage facility was at the heart of a controversial statement in yesterday's reading that sent shockwaves through the Catholic community, 67% of whom are said to own the offending instruments of sleeping luxury. 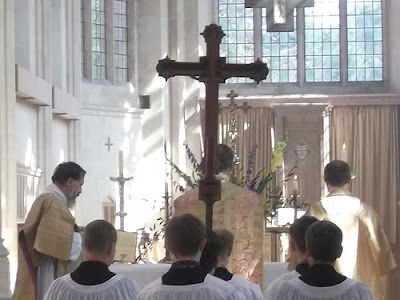 In the biblical passage read out at Mass yesterday, the controversial Lord blasted the divan, leaving communicants wondering whether they should approach the Sacred Banquet of Holy Communion, having slept on a divan bed just the previous night. It is striking that the Lord Jesus says this. 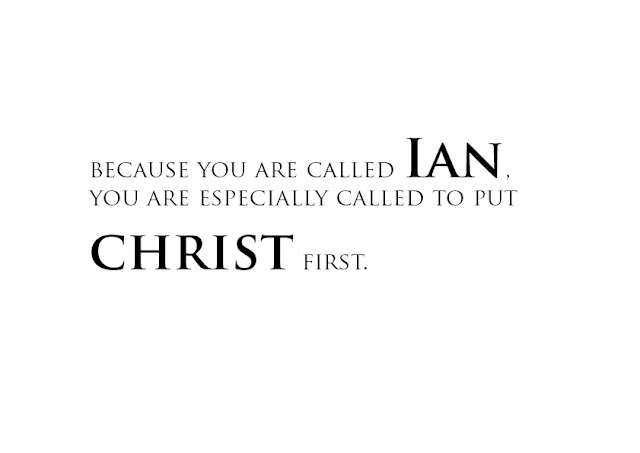 Firstly, because the name of one man that He raises from the dead is called Lazarus, who He names in the parable today. Secondly, of course, because He Himself will rise from the dead on the third day following His Passion and Death, during which He seems like something less than human, something cast away and scorned. I've no doubt that this parable is to awaken within hearers the desire to love the poor and to show them Christian love and therefore be witnesses to the Lord who loves the poor. It is obvious that, since the beginning of the Church the followers of Our Lord Jesus Christ have been identified with the service of the poor. In the 21st century, this is still the case today. St Cosmos and St Damian, whose feast we celebrated last week, is but one example. Having already made a dramatic impression on the life of the Franciscans of the Immaculate, one has to ask whether it is all part of some strange Jesuit plot? Not everyone is called to 'go out to the peripheries'. Some are called to be simply faithful husbands and wives, devoted to family, others to the contemplative life, others to the active life. I have been out to the peripheries and have now learned not to let the peripheries know where you live. I wouldn't wish that on a family! To me, the time I have with Jesus is precious. It really is not that much time I spend with Him. I wish I could spend more time with Jesus than I do. I appreciate the opportunity to spend an hour with the Lord at Exposition of the Blessed Sacrament. 1. Pray for His Holiness every day. Dedicate a Rosary for his intentions as often as you can. 2.Do what he tells you to do. 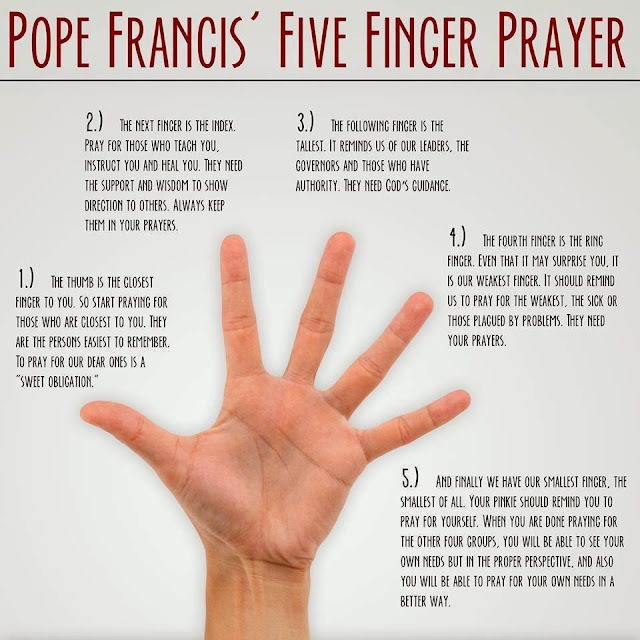 Pope Francis's papal teaching isn't contrary to your Catholic Faith. If anything, his emphasis on the poor is an opportunity for you to embody the Catholic Faith. Take up the challenge from the Successor of St Peter to be a bold witness for Jesus Christ. Feed the poor, clothe the naked, do the works of mercy the Lord asks of you. If you cannot, contribute to the work of others who do. Our Lord told us He would judge us on this, the work of love for Him. Works of mercy will help you to live less selfishly and deepen your faith and love for the Lord. Let us give thanks to the Lord, that His Holiness Pope Francis has today spoken up in defence of the unborn. May His Holiness continue to be a voice for the poor, the discarded, the unwanted and the victims of human oppression, among whom are the countless unborn babies aborted in the World on a daily basis. There is an interview with Pope Francis on America magazine. I believe the original interview was done in another publication. I don't know how they got one when His Holiness called me the other day to say he'd do an interview with me before their one. What do you make of the 'exclusive' or is that 'inclusive' Pope Francis interview? There are elements to it that I find unsettling for different reasons. I do like his emphasis on the Sacrament of Confession - surely something some of our Bishops need to promote actively. 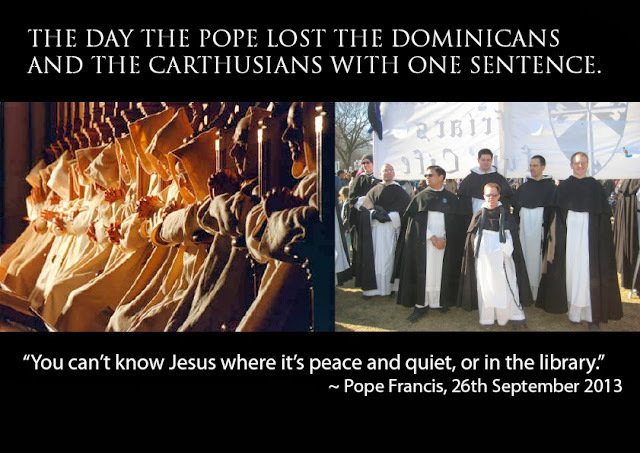 One thing that I sense about the pontificate of Pope Francis is that we are seeing a re-defining of the papacy. There is something about his pontificate which is unlike anything I've seen before. 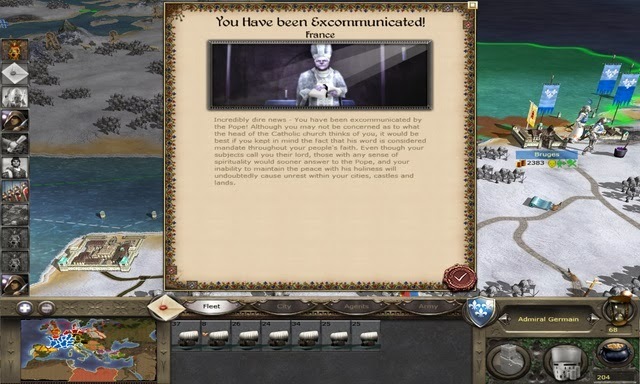 What is a Pope for? I had always thought that the Pope is the Successor of St Peter who guards the Deposit of Faith with his life. I had always thought that in his doing so, we find communion with him. 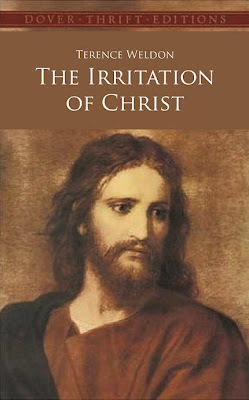 Not to be outdone by mystics of the Church of yesteryear, Terence Weldon is to publish his new spiritual guidance book for Catholics entitled 'The Irritation of Christ'. Modelled on the great spiritual work by Thomas A Kempis, Weldon introduces new methods of irritating Our Lord, by acting as a thorn in the side of the Church who wishes to expose as many souls as possible to spiritually dangerous and scandalous practices. Christ: "Soul. Now you've got Bishop Kieran on board in your scandalous, dissident homosexual organisation, you are really becoming incredibly irritating. My love and patience is infinite, but you really do take the biscuit." During the weekend of the 18-20 October 2013, Young Catholic Adults will be running a national weekend at Cold Ash Retreat Centre just up the road from Douai Abbey (which was booked up this year). * It will be include the following Priests:- Fr Goddard FSSP, Fr de Malleray, Fr. Pearson O.P. and Br. Wilson O.S.B. * There will be a Marian Procession, Rosaries, Sung/HighMass, Confession and socials. Weekend rates: £99.00 for adults, £69.00 for Students and U/E ( weekends starts on Friday evening with supper and finish on Sunday after lunch. 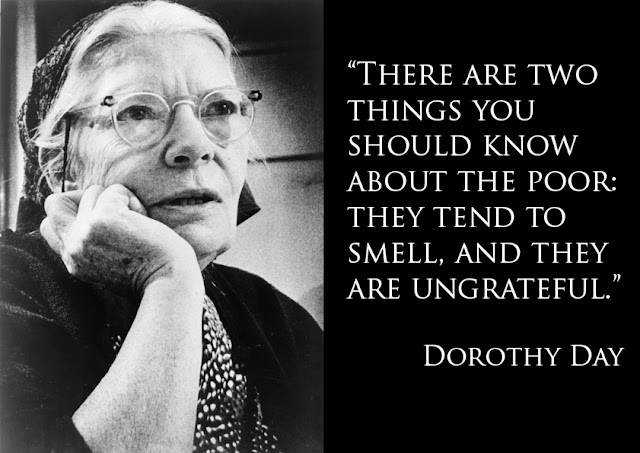 I think Dorothy Day always knew she would be misunderstood. I guess that's why she started her own newspaper. Thank you to a Facebook friend for supplying me with this gem of a quote. I'm looking on Google for the Vatican II document that supports the idea that guidance on mortal sins and venial sins are outdated in the formula penitents would use in order to confess sins. That sin is mortal which severs the soul from God, meriting eternal punishment if it goes unconfessed or unrepented before Death. Perhaps someone could also look at the documents of the Second Vatican Council and let me know when you find the passage in which it is clear that the Church has dispensed with 'mortal sin'. This is not the first time a Bishop has said that either this language is unhelpful or irrelevant to modern times. Perhaps CC the Bishops on this as well. I think they need to know just how seriously God takes the Confession of one of his children and how much He desires to grant His mercy to these same children. Will that be the 'messy' poor again, Bill? Is shame a completely alien concept to The Argus? It would certainly appear so! I have taken down a post I wrote yesterday which I wrote in a pique of over-excitement. I said that I had produced a new magazine for Brighton called The Eye of a Needle in which to defend the poor and that I wished to produce a number of them for distribution in Brighton. I have, for a long time wanted to see a new magazine in the area and had been working on one that would put homelessness issues at the forefront of a new local paper. In this instance, I wished to use the magazine to defend the name of Fr Ray Blake after a truly terrible article by Bill Gardner, since this priest does much for Brighton's poor and to see his name be tarnished merited some response from the Catholic community in Brighton, among whom are many who feed the poor. 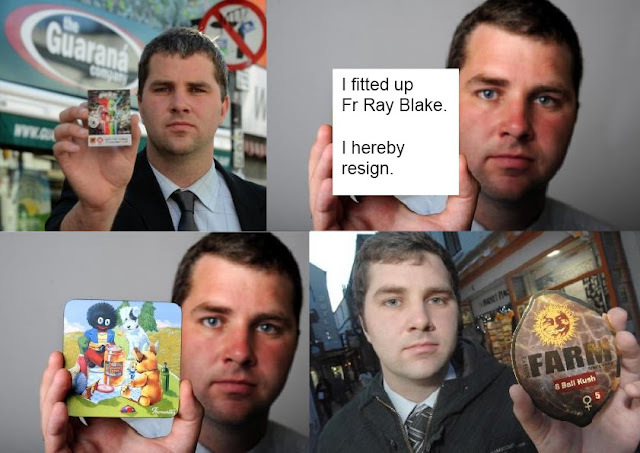 This was an idea that came solely from me as a parishioner of Fr Blake's Church and it was not an idea in which Fr Blake had input. Who do Buddhists pray to? Can atheists and agnostics attain to Salvation? I was asked a similar question by a friend the other day, when he asked me about his parents and how they do not believe. I answered that I could not possibly give the judgment that is God's alone to give in the case of individuals and that we are also told that God does not judge everyone in the same way. I told him he should pray for them. It was one of those moments when my 'conscience' afterwards told me, 'that was a little feeble'. The man himself was a Christian, if not Catholic, so I went onto give him a small summary of what we believe and how this does, in fact, differ to what non-Catholic Christians believe. I talked about sin, salvation and how we as Catholics wish to die in a State of Grace, in God's friendship, rather than in a State of Mortal Sin. A change to the policing arrangements for our annual procession is threatening the future of the Rosary Crusade. The resulting increase in cost is over £2000.00 which is well in excess of the whole of our current budget. We have decided that this year's procession will go ahead, trusting in the generosity of the Faithful and relying on the assistance of Our Lady. Whether next year's will go ahead will depend largely on this appeal and on the collection after this year's Crusade. 1) Pray! We are sure Our Lady wants this great devotion to continue, so please ask her to move enough hearts to generosity! 2) Send a donation now! 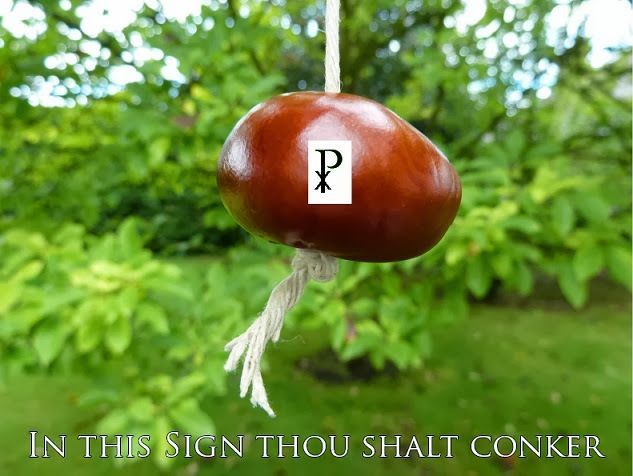 (Cheques payable to The Rosary Crusade of Reparation to be sent to The Honourable Treasurer, The Rosary Crusade of Reparation, 72 Kilmartin Avenue, London SW16 4RE; donations can also be sent directly to our bank account or donations can be made via the Donate button at the top of the website. Just for a laugh I picked up a copy of The Argus to see whether they were doing their usual job of resiliently defending the rights of the 'messy poor'. Under the headline 'Super-strength booze ban bid,'The Argus today reveal how Hastings Borough Council are implementing a ban on super-strength alcohol, because of the anti-social behaviour problems caused when (I think it might just be the poor, you know) drink it. Over the next few days, check out the comments under the article to find out just what Brighton's 'good people' think of Brighton's street drinkers.